How will you drive your retail business growth this year? That’s a question facing all retail business owners - and a problem we help to solve for small businesses registered in the Retail Small Business Management program. Our team of passionate Retail Small Business Management experts has decades of experience assisting small retailers to troubleshoot challenges and avoid common roadblocks to success. We help retailers save time and conserve resources so they can more effectively manage and run their business. By the end of our ten-month program, our expert instructors and business advisers will have provided a roadmap to success. PCC SBDC recognizes that retailers offer an important role in our communities - whether housed in brick and mortar storefronts - or flying high amidst the digital cloud. Our center has supported blends of both - plus iterations of everything in between. Retail remains an important priority for our business development programming because 1 in 4 jobs in the U.S. are supported by retail. In fact, nearly 540,000 jobs are supported by retail in Oregon alone. Our instructors remain vested in continued learning and stay up-to-date with the latest research, technologies and trends. Branding: A strong brand attracts customers and enables retailers to build affinity, trust and loyalty. Learn how consistent and thoughtful communication about your retail business can have a positive impact on the bottom line. Analyzing Profitability: What is your goal in the new year? How about during the next five? You don’t know where you’re going if you don’t know where you’ve been. This session will take you through a series of exercises to analyze your current profits and to position your business for future revenue growth. Online Marketing: Most retail businesses must have an online presence to be competitive. This course teaches retailers how to apply the latest practices and strategies to be successful - and introduces retailers to technologies that can save time and improve visibility. Online Sales & Service: The growth of ecommerce has spawned new technology to ensure more effective digital marketing. Discover tools (Shopify, Woo Commerce) and trends (AI, automation) to position your products and effectively serve your online customers. Inventory Management: Managing inventory effectively is crucial when seeking efficiencies to save time and resources. This session will explore strategies and technologies that make life easier. How to Lead Employees: Your employees are the lifeline of your business. Learn how to attract and retain the right people to help move your company forward. Location: Where should your store be located? What type of lease should you have? Should you collaborate with others? 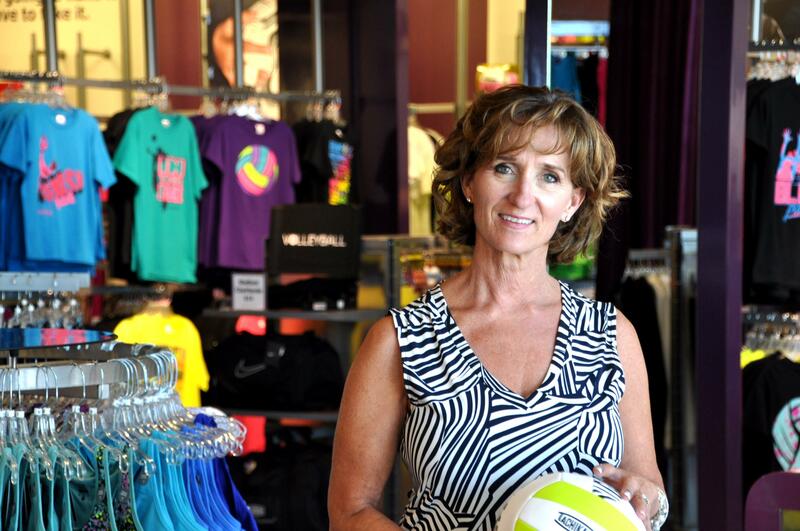 We’ll take you through a process successful retailers follow when choosing a great location. For a full-list of sessions visit the Retail Small Business Management home page. PCC SBDC sessions are a conduit for building community among participants, and while enrolled in the program, members have the opportunity to work with others within their group to discuss challenges, explore best practices, exchange resources and share important learning with their cohort. Additionally, participants receive up to 20 hours of one-on-one advising throughout the duration of the program, including access to specialty PCC SBDC business advisors, and market research resources like the Southern Oregon University Market Research Institute, SBDCNet, Reference USA, MarketLink, and Euromonitor. 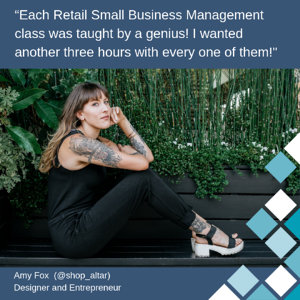 Managing a successful retail business is a deeply rewarding and fulfilling experience, regardless of the challenges associated with being a small business owner. The Retail Small Business Management program helps retailers avoid pitfalls and navigate challenges to position their store for success. For more information, contact the PCC Small Business Development Center today.